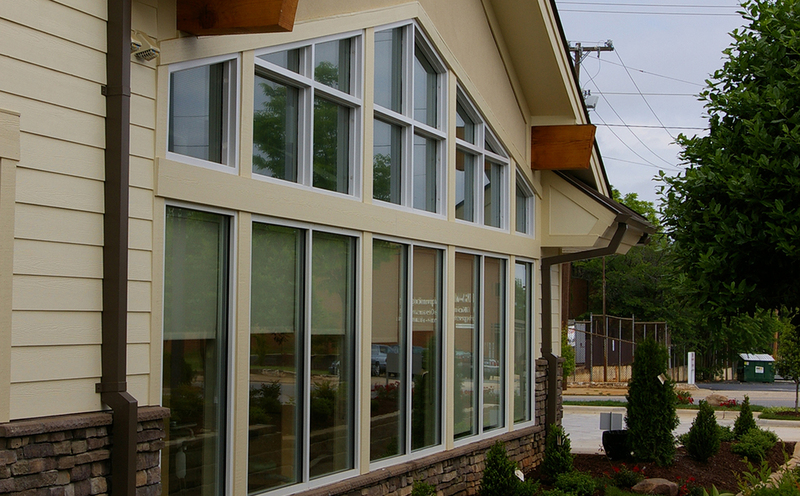 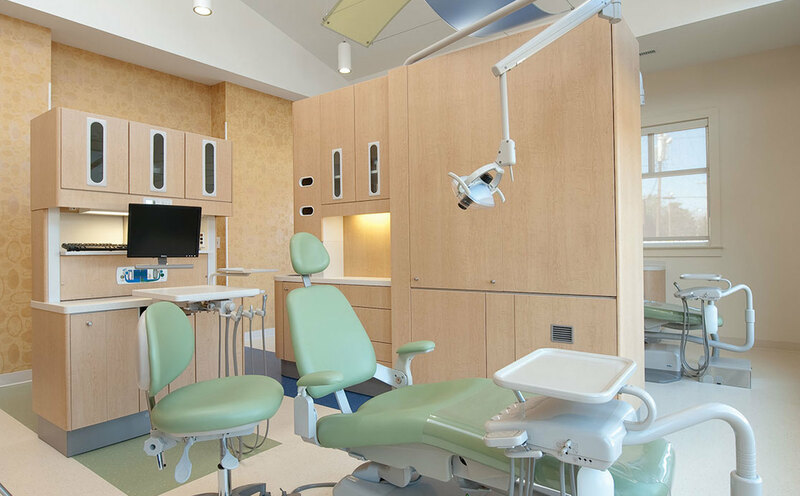 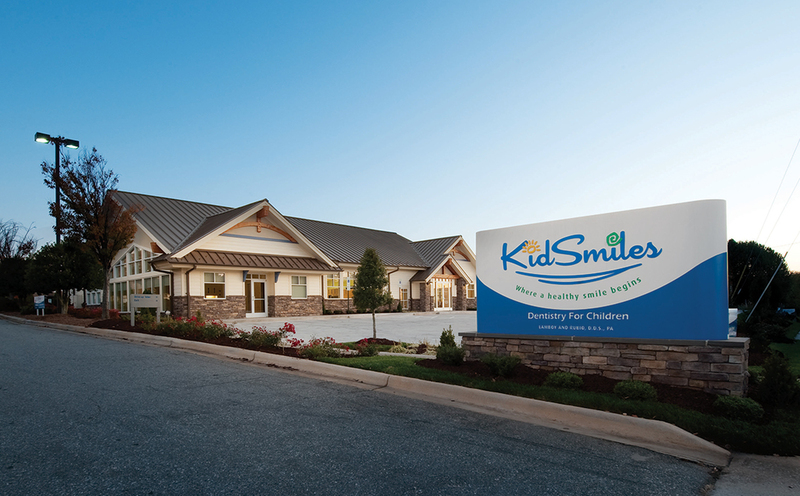 ESPA was charged with developing a design for a downtown High Point dental practice that would incorporate natural light and create an exterior appearance to identify the practice. 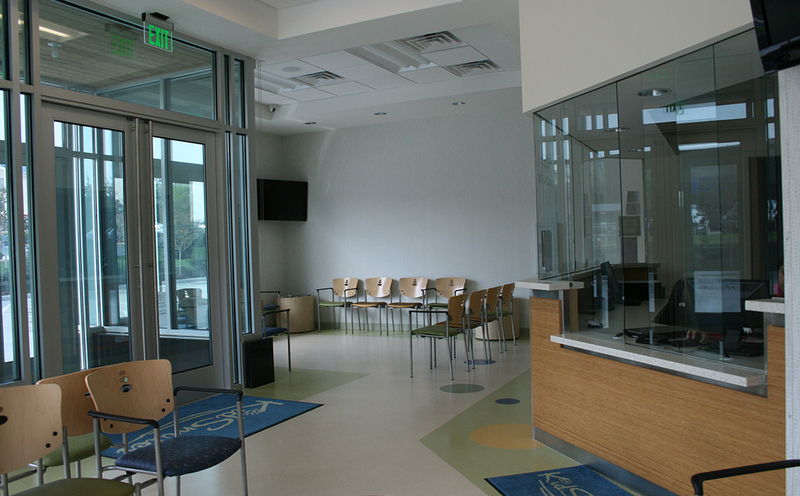 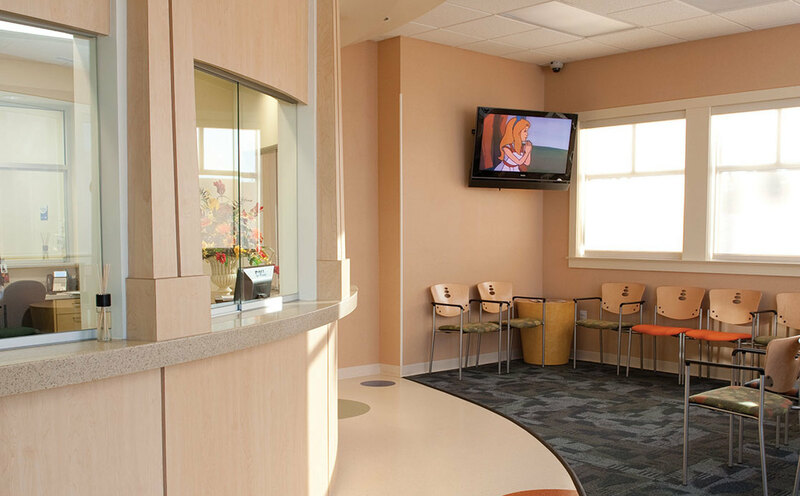 The building was designed to incorporate television monitors in the treatment areas along with video games in the waiting area. 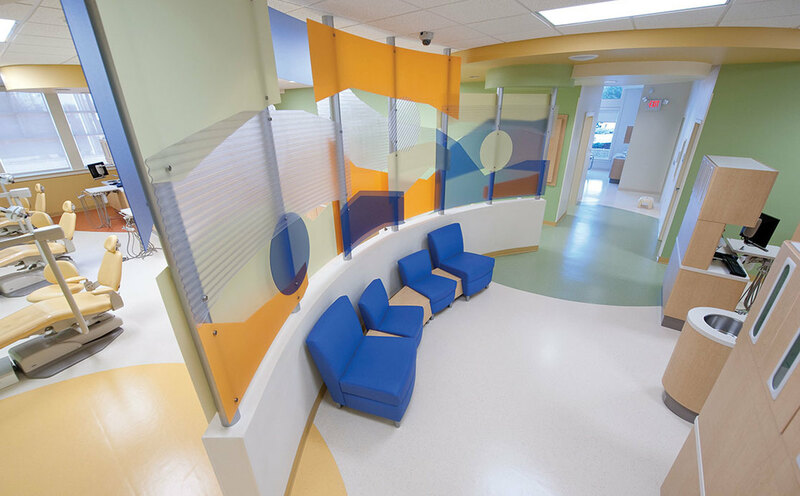 The use of color and multi-level ceiling clouds were designed to create a cheerful environment for children and their parents. 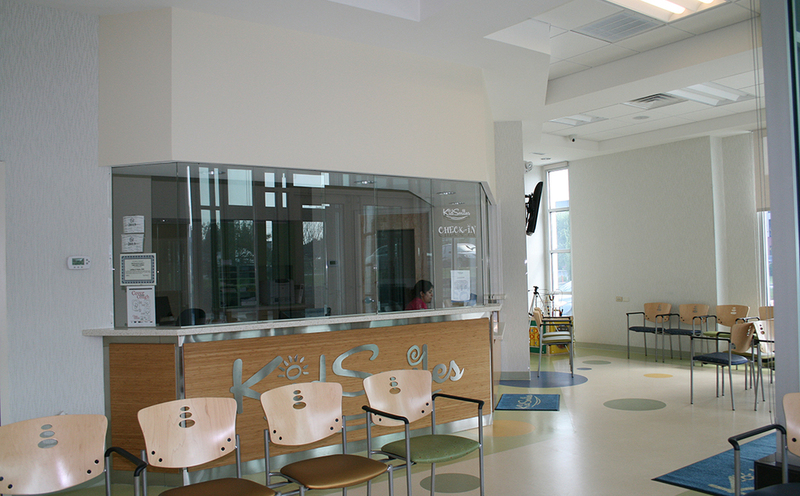 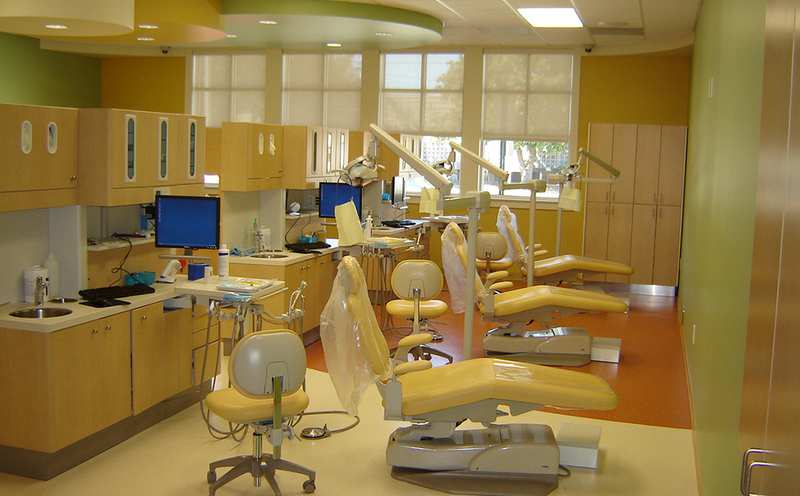 Open spaces allow staff to observe the children in the building as well as small treatment rooms for special procedures.